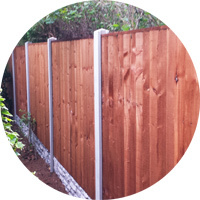 Affordable Fencing deliver top-quality fencing services in Derby and the surrounding area. From decorative wooden fences to solid concrete fencing posts and gravel boards, we have the best products and a fantastic service - all at an affordable price that you'll be delighted with. Affordable Fencing are the people to trust for fencing in Derby, with over 10 years experience of delivering quality fencing services to our customers. Contact us today for a free, no-obligation quote or click here to find out more about our fencing services. Whatever your project, we have products and options here at Affordable Fencing to suit every taste, environment and budget as part of our wide range of fencing services in Derby. 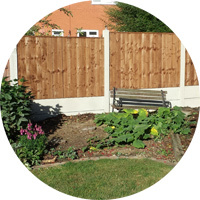 "The Affordable Fencing team were really friendly and professional and did a fantastic job for us."